Anandavally born into an Agricultural family at Veliyam, Quilon District, Kerala, India to Tamil parents. She attended Schooling in "Kaiyela School" - Veliyam, where she began acting in school plays and later started story telling performance (Kadhaprasangam). Kerala, locally known as Keralam, is a state on the southwestern, Malabar Coast of India. It was formed on 1 November 1956, following passage of the States Reorganisation Act, by combining Malayalam-speaking regions. Spread over 38,863 km2 (15,005 sq mi), Kerala is the twenty-second largest Indian state by area. 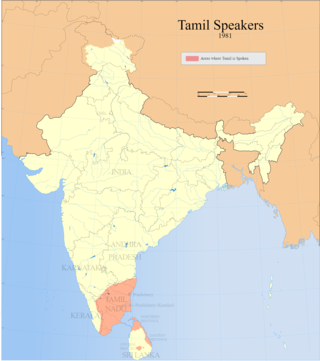 It is bordered by Karnataka to the north and northeast, Tamil Nadu to the east and south, and the Lakshadweep Sea and Arabian Sea to the west. With 33,387,677 inhabitants as per the 2011 Census, Kerala is the thirteenth-largest Indian state by population. 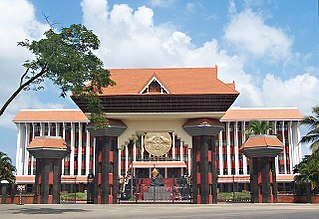 It is divided into 14 districts with the capital being Thiruvananthapuram. Malayalam is the most widely spoken language and is also the official language of the state. Veliyam is a village in Kerala, India. It is situated near Kottarakara in the Kollam district of Kerala. A. Sreedhara Menon briefly narrates the historical importance of this place in his book Kerala History. Veliyam Anchu Murthy Temple and Veliyam Subramanya Swami Temple famously known as Kerala Palani Veliyam Kovil are two most famous and oldest Temple in the village. Anandavally used to sing for dramas even while a teenager. But unexpectedly, her acting skills were put to test in front of a large audience during for the drama "Chithalu Kayariya Bhoomi" in 1969. Then she started performing in several dramas of "KPAC", "Kalidasa Kalakendram", Deshabhimani Theaters-Attingal, Kerala Theaters-Kottayam and Kayamkulam Peoples Theaters. She also worked as announcer in All India Radio. Anandavally entered the film industry through the film "Kadu" and went on to act in below given films. She became interested in pursuing a career in the entertainment industry following a minor role in various Malayalam films, where she remained a regular until she decided to pursue a dubbing artist career. In 1973, she debuted as a dubbing artist and gave sound for actress Rajasri in the film Devi Kanyakumari. Manjil Virinja Pookkal Malayalam film dubbed for Poornima Jayaram was the break through. Thereafter, Anandavally have not looked back. As of now she has dubbed for numerous Malayalam films and is still active. She gave her voice for several leading heroines, the list as Geetha, Silksmitha, Sumalatha, Madhavi, Menaka, Ambika, Urvasi, Jayapradha, Karthika, Parvathy, Gauthami, Suhasini, Sobhana, Sukanya, Sarada, Saritha, Suchitra, Bangalore Bharathi, Bhanupriya, Rekha, Revathi, Renjini, Mohini, Nanditha Bose, Vinayaprasad, Kanaka, Khushboo, Urmila Unni, Unni Mary, Santhikrishna and so on. She won a Kerala State Award for the Malayalam film Aadharam dubbed for actress Geetha. Anandavally is still active in dubbing through films and serials. Manjil Virinja Pookkal is a 1980 Indian Malayalam-language musical romantic thriller film produced by Navodaya Appachan, written and directed by Fazil. It stars Shankar, Poornima Jayaram, Mohanlal. The original soundtrack was composed by Jerry Amaldev and cinematography was done by Ashok Kumar. Sumalatha is an Indian film actress. She has acted in more than 220 films in Telugu, Malayalam, Kannada, Tamil and Hindi. Her most recognised role was as Clara from the 1987 film Thoovanathumbikal directed by P. Padmarajan. The film was ranked #8 by IBN Live in its list of greatest Indian films of all time. She gained popularity in Malayalam cinema and later married Kannada actor-politician Ambareesh and has a son Abhishek Ambaresh. Jaya Prada is an Indian film actress and politician. 1. Kalai Selvam - 1997 South Indian Artist Association, Chennai. 3. Kural Selvam - 2011 South Indian Cine Artists & Dubbing Union, Chennai. 4. Award for contribution to Malayalam Film Industry 100 years of Indian Cinema Celebration - 2013 at Chennai. Oru Vadakkan Veeragatha is a 1989 epic historical period drama Malayalam film directed by Hariharan, written by M. T. Vasudevan Nair, and starring Mammootty, Balan K. Nair, Suresh Gopi, Madhavi, Geetha and Captain Raju. The film won four National Film Awards (1989) including Best Actor (Mammootty), Best Screenplay, Best Production Design and Best Costume Design and six Kerala State Film Awards. In a 2013 IBN poll it was voted one of the greatest Indian films of all time. Asha Kelunni, known by her stage name Revathi, is an Indian film actress and film director, known for her works predominantly in Tamil and Malayalam cinema. She has won several accolades, including the National Film Awards in three different categories, and Filmfare Awards South. Revathi is a trained Bharatanatyam dancer, having studied since the age of seven and performed her arangetram in Chennai in 1979. Raakilipaatu is a 2007 Malayalam film directed Priyadarshan based on the 1999 Marathi film Bindhaast. It stars Jyothika, Sharbani Mukherjee, Tabu and Lakshmi. The songs were composed by Vidyasagar while the background score was composed by S. P. Venkatesh. Originally planned to be made as a bilingual, in Tamil and in Malayalam, the film released first in 2000 in Tamil only as Snegithiye, while the Malayalam version as well as the dubbed Hindi version, Friendship, released only seven years later.Jyothika was nominated for best actress category at Filmfare Awards South. Rani Chandra was a Malayalam film actress and winner of the Miss Kerala Title. She died in a plane crash in 1976. She acted in several landmark films such as Nellu, Bhadrakali and Swapnadanam. Abhimanyu is a 1991 Indian Malayalam-language crime drama film directed by Priyadarshan and written by T. Damodaran. It stars Mohanlal, Geetha, and Shankar in the lead roles. The plot revolves around Mumbai underworld and the transformation of an innocent guy into a criminal, who later becomes a don in the city. The tagline of the movie is Crime Never Pays. Shamlee, also known as Baby Shamili, is an Indian actress who has worked in Malayalam, Tamil, Kannada and Telugu films. She is probably best known for her critically acclaimed performance as the mentally challenged child Anjali in the 1990 film Anjali, that fetched her the National Film Award for Best Child Artist, and as a child trapped inside a bore-well in the film Malootty, that fetched her a Kerala State Film Award for Best Child Artist. Roja Ramani is a South Indian movie actress who predominantly worked in Telugu cinema. She was a child actor and her debut movie was Bhakta Prahlada (1967) for which she received National Film Award for Best Child Artist. She was popular during the 1970's and early 1980s and has acted in Tamil, Malayalam, Telugu and Kannada movies. She worked in 400 films as a dubbing artiste. She is an active member of BlueCross and is involved in several social service activities. Philomina was a Malayalam film actress. She acted in more than 750 films in her career. She played mostly character and comedy roles, besides that of mother and grandmother. She started acting on the stage. This experience stood her in good stead when she was offered her first film role. The character of Anappara Achamma in Godfather is acknowledged to be one of the powerful roles ever in Malayalam cinema. Aadhaaram is a 1992 Malayalam film directed by George Kithu, written by Lohithadas, starring Murali, Suresh Gopi, Geetha, and Sudheesh. The film was well received at the box office. Murali received a Kerala State Film Award for Best Actor for this film, and after this success he was offered more lead roles in films. Ulladakkam is 1991 Indian Malayalam language psychological thriller film, directed by Kamal and written by P. Balachandran from a story by Cheriyan Kalpakavadi. It stars Mohanlal, Shobana and Amala. The film, produced by Suresh Balaje features a soundtrack composed by Ouseppachan. Dr. Sunny (Mohanlal) is a psychiatrist, one of his patients, Reshma (Amala) after being treated by him, gets obsessed with him romantically, but Sunny is already engaged with Annie (Shobana). Agnisakshi is a 1999 Indian Malayalam-language spiritual film written and directed by Shyamaprasad, based on the novel of the same name by Lalithambika Antharjanam. It stars Rajit Kapur, Shobana, Srividya, Praveena, Madhupal and Madambu Kunhukuttan. Sreeja Ravi is an Indian voice-dubbing artist who has lent her dubbing voice to over 1500 films in total and also performed voices for numerous commercial ads. She started her dubbing career in the year 1975 for the movie Utharayanam, Directed by G Aravindan. Bhagyalakshmi is a leading dubbing artist, actress and an activist. She works primarily in Malayalam Film Industry. She has a dubbed for more than 2000 films in Malayalam cinema. She mostly dubbed for Actress Shobana. Sajitha Madathil is an Indian film and theatre actress. Her performance in Joy Mathew's feature film Shutter (2012) won her the State film award for best second actress. She is Deputy Secretary of the Sangeet Natak Akademi New Delhi(Academy of Music and Dance, India), an autonomous body under the Ministry of Culture, Government of India. She appeared in the feature films Shutter in 2012, in Adimadhyantham in 2011, and in Shalini Usha Nair's feature film Akam in 2011. Shammi Thilakan is an Indian film actor who is active in Malayalam films. He is the son of late actor Thilakan. He lent his voice for Napoleon in Devasuram, Prem Nazir in Kadathanadan Ambadi and for Nassar in Ghazal, in which he won state award for best dubbing artist. Anju is an Indian film actress best known for her work in Malayalam movies and Tamil movies. She came into movie industry as a child Artist with the name Baby Anju. She hails from Tamil Nadu and is now acting in Tele films and soap operas. She debuted at the age of two with the Tamil movie Uthiripookkal in 1979. She had acted in Tamil, Kannada, Telugu movies as well. She was the Kerala State film award winner of the year 1988 for the movie Rukmini. Edavappathy is a 2016 Indian Malayalam-language drama film written and directed by Lenin Rajendran. It deals with the story of the mental conflicts of a Tibetan Buddhist priest. Siddharth Lama plays the male lead with Utthara Unni opposite him. Manisha Koirala also plays a leading role. Angel Shijoy is an Indian voice actress who mainly lend her voice in Malayalam film industry and advertising. She has been lending her voice for films, short films and advertisements since age eight.Her voice also familier,Title track "Nattilengum Paattayi" for Radio Mango. She had won the Kerala State TV Award by dubbing for a short film in 2013 and Kerala State Film Award for Best Dubbing Artist in 2015 for Haram. Sarath Das is an Indian actor and dubbing artist who works in Malayalam films and television. He is known for his role as Lord Krishna in the serial Sree Mahabhagavatham telecast in Asianet. He has been in the screens for over twenty five years. He received the Kerala State Film Award for Best Dubbing Artist in 2006. Pauly Valson is an Indian film actress and theater artist who has been acclaimed for acting in Malayalam films and Stage drama. She debuted in Malayalam film industry with the supporting roles in the 2008 movie Annan Thambi In 2017, she won the Kerala State Film Award for Best Character Actress for her performance in Ee.Ma.Yau directed by Lijo Jose Pellissery and Ottamuri Velicham directed by Rahul Riji Nair. ↑ Lal, Athul. "Invisible Nightingale". The New Indian Express. Retrieved 2014-02-25. Wikimedia Commons has media related to Anandavally .